We all see and forget our dreams. Frightening, happy, emotional or sad dreams&whatever they are, they affect your life and conscious for sure. Believe it or not, your dreams sometimes are hindsight into your future life. If interpreted correctly, your dream is a language of your subconscious. Just record your dream in the method shown (see EST Sep'96), and mail it to us. We make our dream expert analyze the dream for you. 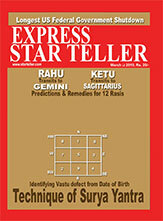 Your dream sheet should reach us by 7th of every month, and the analysis will be published in the forthcoming issue. Please note that due to heavy rush this may take a little while before our experts can put the request in queue, so please be patient. If you are a subscriber already, and would like to use the Dream Analysis Service, then please continue to the relevant section here. 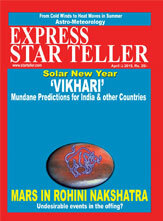 Your "Dream sheet" should reach us by 7th of every month, and the analysis will be published in the forthcoming issue. Our mailing address.